Christopher Berry’s troubles started long before he killed his infant son in 2013. After surviving a suicide bombing and returning from Afghanistan with post-traumatic stress in 2011, Berry racked up arrests for allegedly shoving his teenage girlfriend, deliberately running over pigeons, and stealing from his employer. “I was holding him, and I was like, ‘Oh, my God, oh my God, what did I just do?’ ” Berry told police in recorded confession. Most of these children’s stories have gone untold, either because their plight wasn’t known to the state until they died, or because the state’s missteps and failures to protect dozens of them was long concealed by confidentiality laws and secrecy. An examination of these sad cases shows that mistakes occur at all levels of the child welfare process – from at-risk youths the system failed to catch, to infants with open social services cases who fell through the cracks, to babies like William who were funneled into a program meant for lower-risk youths that couldn’t save them. DCF already has faced harsh criticism for failing to protect children under its watch, including Jeremiah Oliver, the Fitchburg toddler who disappeared and was later found dead by a highway in 2014 and 7-year-old Jack Loiselle of Hardwick who fell into a coma in July after his father allegedly starved and beat him. Just Sept. 18, DCF faced more criticism with the revelation that Baby Doe, the child found dead in a garbage bag on Deer Island this summer, was Bella Bond, a 2-year-old who had twice been under supervision of state social workers. A six-year-old DCF intake system for maltreatment complaints – opposed by the union that represents social workers – divides children into high-risk and lower-risk categories, with less risky cases assigned to workers with less required training. Between 2009 and 2013, 10 children on the lower risk track died, including 7 in 2013, records show, raising questions about whether the system has enough safeguards to protect children. Commissioner Linda Spears, named to run DCF in January, would not discuss individual cases that predated her tenure, but said that, much as a hospital emergency room has to determine the patients in most urgent need, DCF has to better identify and protect the most vulnerable children. In contrast to the headlines about Oliver and Loiselle, most abuse and neglect victims die with little public notice. That includes Dejalyse Alcantara of Boston, who was put under state watch at birth in 2011 because of her mother’s drug abuse. She died six months later in an overheated car, her mother asleep or unconscious in the front seat. Two-year-old Yarelis Rosario-Pereyra of Boston died allegedly of abuse and neglect in 2013 even though social workers had confirmed that she suffered bouts of maltreatment throughout her life. No one yet has been charged in her case. Child fatalities – from natural and abuse-related causes – are supposed to be reviewed by a panel of experts, but that system has ground to a halt. The state review team, chaired by the Office of the Chief Medical Examiner, has filed only four reports since its launch 15 years ago, even though state law requires it to file findings and recommendations annually. Spears called the increase in child maltreatment deaths “tragic but not surprising,” blaming the jump on affects of the state’s opioid crisis as well as an increase in reporting of infants who die suddenly due to unsafe sleep practices, like sleeping with an adult, which state officials consider a form of neglect. 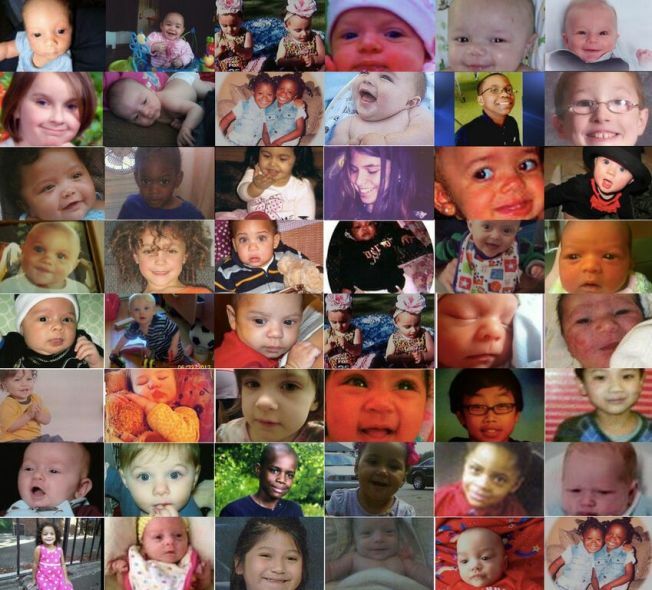 Sixteen child deaths in 2013 were sleep-related, state records show, five of those had histories of maltreatment. William James Berry’s shaking death, some say, points to weaknesses in a system launched in 2009 to help social workers separate cases where children are in imminent danger from those where the family simply needs help. The policy, part of a national movement, was quickly embraced in Massachusetts: in 2013, 38 percent of child abuse reports were assigned to the lower risk group, DCF records show. The higher risk cases, including allegations of sexual or serious physical abuse or neglect, are referred to social workers whose “primary purpose” is to investigate and “determine the safety of the reported child,” state documents show. Social workers are supposed to “engage and support families” when the child is in the lower risk group. The state social worker’s union opposed the state’s two-tier system from the onset, MacKinnon said, because of concerns that families considered lower risk may get short shrift. The social workers who do the full child abuse investigations are provided more training on how to interview children and ferret out signs of child abuse, he said, leaving people with less specialized training to handle lower risk cases. Currently, caseworkers who handle lower risk cases are less likely to interview the child away from parents -- often a key to getting at the truth, explained Taunton DCF social worker Laurie Cyphers. They are less capable, she said, of pushing parents to cooperate if they refuse state help. She worries that social workers with less experience and less training won’t be able to accurately assess safety risks. There is no national data tracking deaths of children who had been placed on the lower risk track. But there have been enough incidents, here and elsewhere, to lead some child welfare advocates to question the idea of a two-tier system. In Minnesota, for example, the murder of a 4-year-old boy who had been placed on the lower risk track prompted statewide scrutiny and recommendations to narrow, and perhaps do away with, the program. In Massachusetts, 3-year-old Alyvia Navarro was put on the less severe track months before the autistic preschooler drowned in a pond behind a Wareham trailer home in a death DCF ascribed to neglect, state records show. There’s also 10-year-old Isaiah Buckner from Athol who died from abuse and neglect-related injuries in July 2013, according to DCF, a case that remains unsolved. At least four other children on the lower risk track died of what DCF determined are neglect-related unsafe sleep issues, records show. Sharon Crawford, Buckner’s maternal grandmother, said she was not aware that her daughter was being visited by social workers, much less in what is considered a lower risk track. She said the state should have taken special care since her grandson was deaf and legally blind. She’s angry that social workers never reached out to her, since she was very involved in Isaiah’s life. A new DCF review on Loiselle, the Hardwick boy now in a coma, showed that social workers had dismissed multiple allegations of abuse and neglect as far back as 2008. But when they finally opened a case on the boy in February 2015 in response to two new complaints, the social workers placed him in the lower risk category, records show. William Berry’s case, which did not get the same kind of public scrutiny as Loiselle’s, also raises questions about how closely social workers studied the baby’s home life before concluding he was at low risk of harm. When a maltreatment call comes in, individual caseworkers must decide which track to place a family on based largely on agency files and phone conversations, according to DCF documents. They can also request a criminal background check – a “Criminal Offense Record Information” or CORI – though it’s not required. In the end, DCF assigned the family to the lower risk group a month before Berry killed his son, state records show. Boston pediatrician and child abuse expert Eli Newberger said he was “appalled” to learn that social workers are not required to request a person’s criminal history as part of a screening – saying that the state is ignoring key evidence that puts a child at risk. Perhaps as troubling as children who die under the watch of social workers tasked to protect them are the stories of the children who died of abuse and neglect between 2009 and 2013 that were never brought into the state system at all – there were 72 of them. It’s also unclear how many times social workers dismissed abuse and neglect claims about children who later died of abuse and neglect. The state, citing legal issues, refused to provide this information for the children who died between 2009 and 2013. NECIR is appealing this decision to the Secretary of State. But it’s likely that many had been known to state agencies: A 2013 state report, for example, found that in 65 percent of all child maltreatment deaths between 2001 and 2010, families were known to DCF. For Laura Cyphers, the Taunton social worker who handles low risk cases, each new tragedy is a painful reminder of problems that front line workers know only too well. She wishes the agency would be more transparent and introspective, but, in her experience, that has not been the case. When a child dies, she says, co-workers are interrogated by higher ups about what happened, but never see a final report or learn about findings – unless it involves losing their jobs.